Photos by Bob Thomas, Chiquibul Education Centre, Las Cuevas, Cayo District, Belize, May 2012. 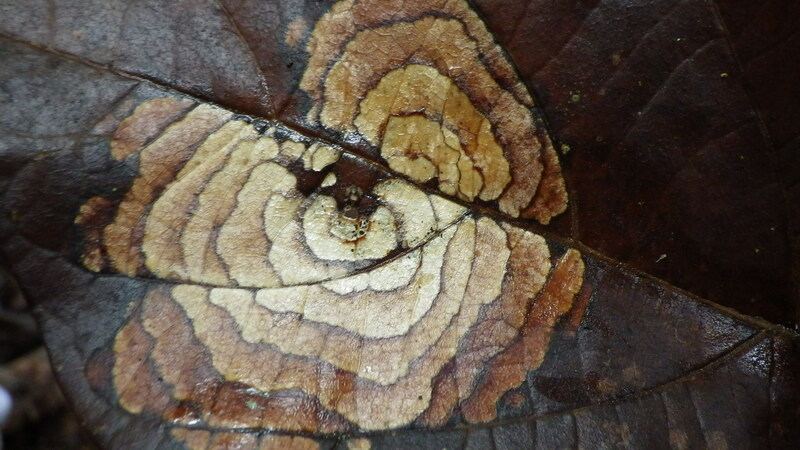 Leaves with this circular pattern were common along the trails at Las Cuevas. They’ve also been seen in the Bladen, according to Steven Brewer. 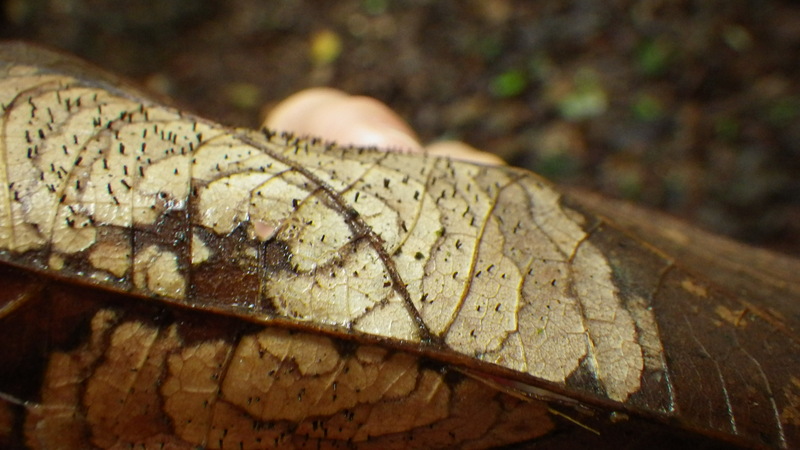 A couple of mycologists who specialize in fungal leaf infestations have opined that this may be Pestalotiopsis. Any ideas?